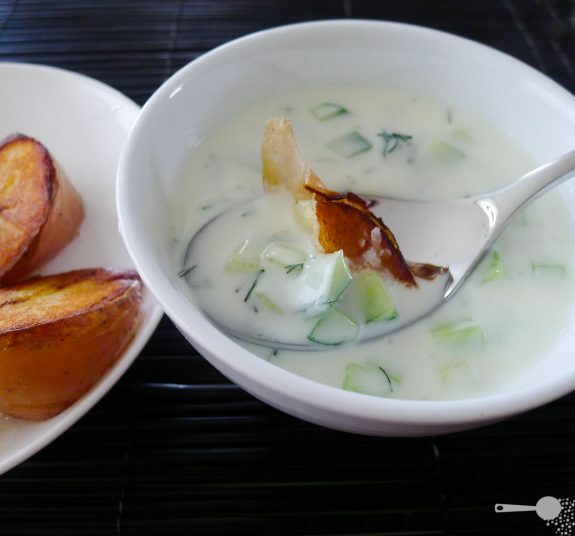 Indeed, this no-cook buttermilk and cucumber soup is a perfect dinner on a warm summer’s evening, or as the case was yesterday, on a stinking hot first day of autumn. It helps your body rehydrate after a long day and single serve provides around 40% of the recommended daily intake of calcium – great for strong teeth, bones and healthy muscles. You can use freshly boiled, lightly crushed potatoes for this or reheat any left over spuds you might have by browning them lightly in a little olive oil. 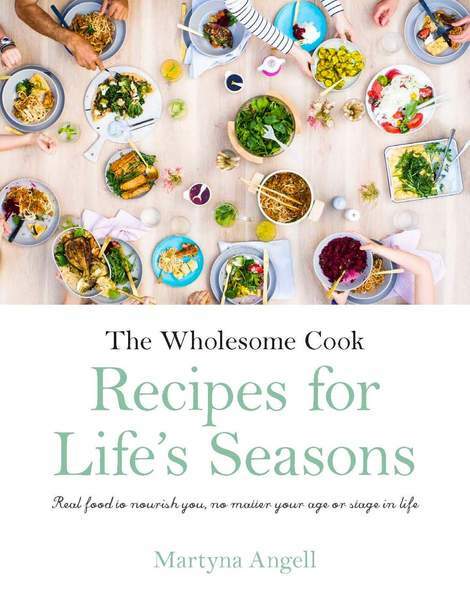 You can add other crunchy, fresh vegetables to this soup: try sliced radishes or even baby beetroot leaves. garlic and dill in a bowl and mix well. Divide soup between 2 bowls and serve with potatoes on the side. Eating fish when you don’t like it. A practical guide. What a refreshing idea for a soup! I love buttermilk too. Sounds delightful, like summer in a bowl!